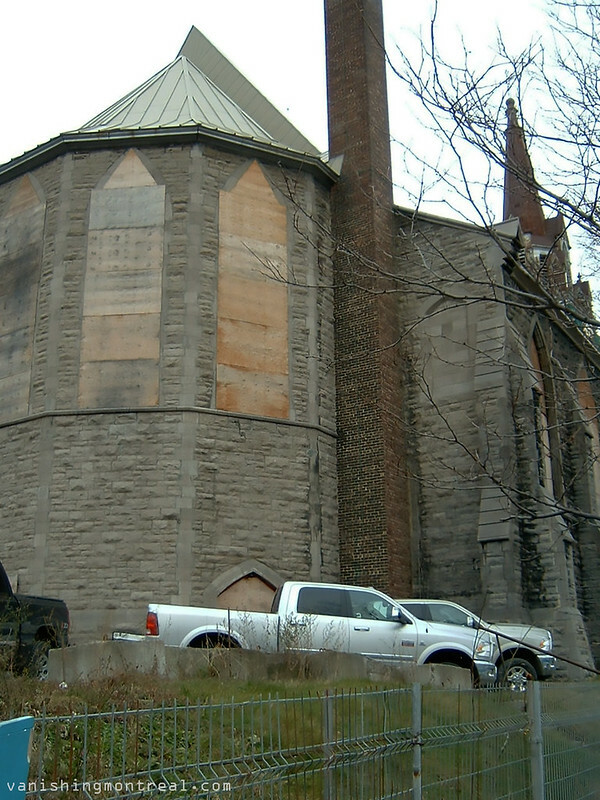 Here's an article at The Gazette (it seems the Gazette removed the article) about this. 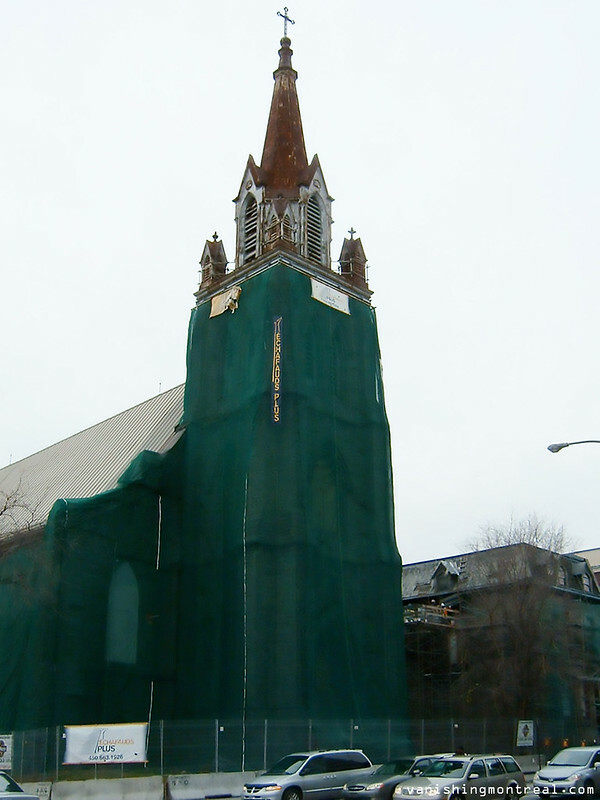 Here are some photos of the Trinity Church / Eglise St Sauveur taken on Thursday Nov 25. 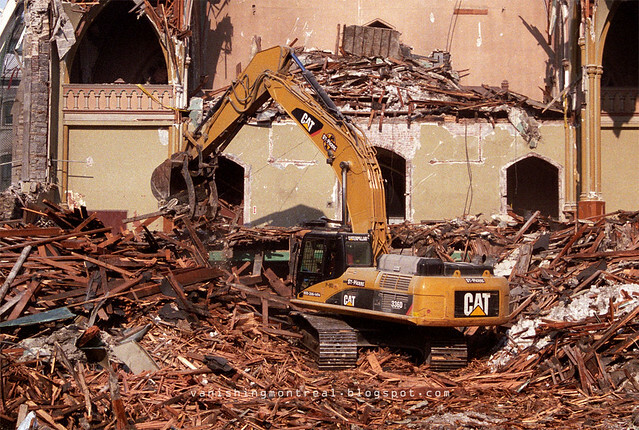 They already started destroying the vicarage/presbytery as you can see in photos no 4 and 5. 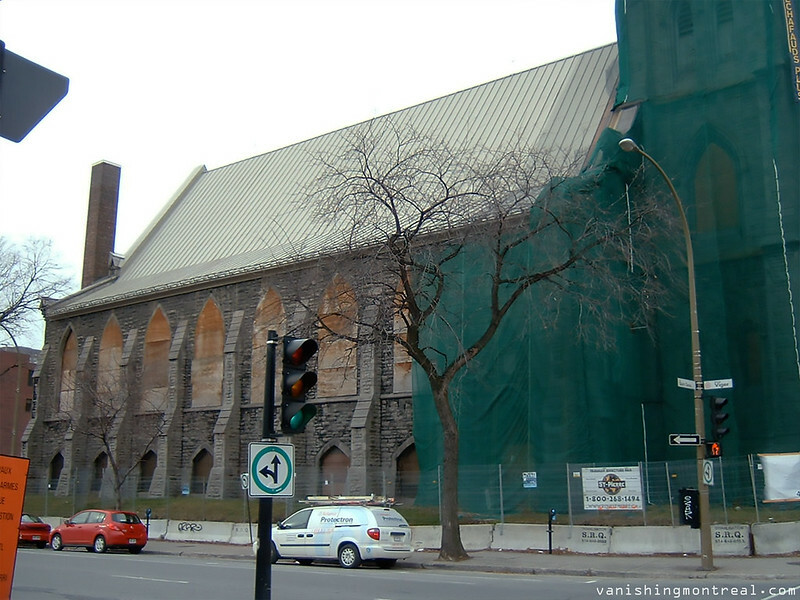 These photos will give you general idea of what will be demolished. 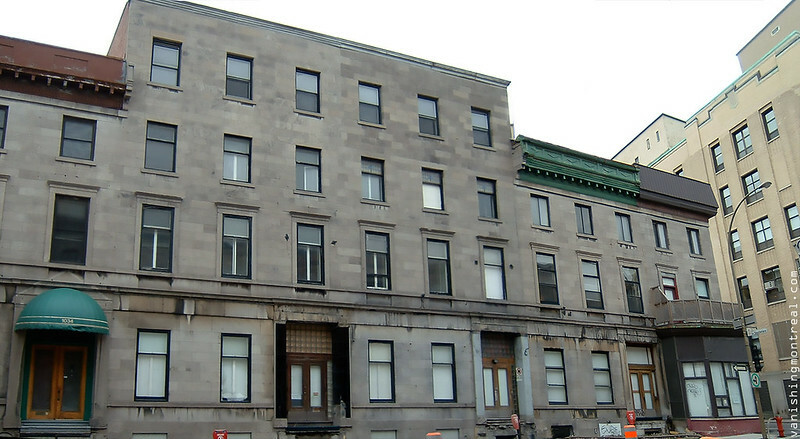 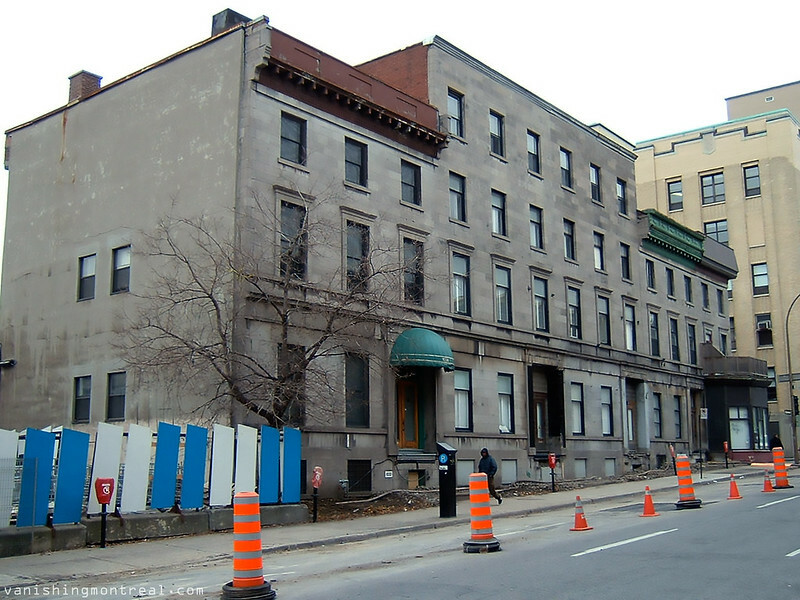 The beautiful house and apartments next to it (the last 5 photos) will also be destroyed. 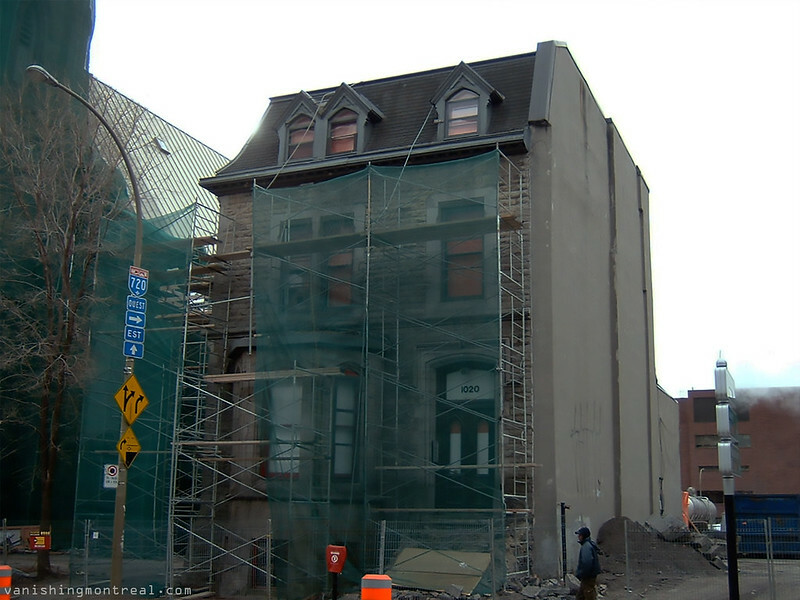 Those are really cool Montreal-style dwellings. 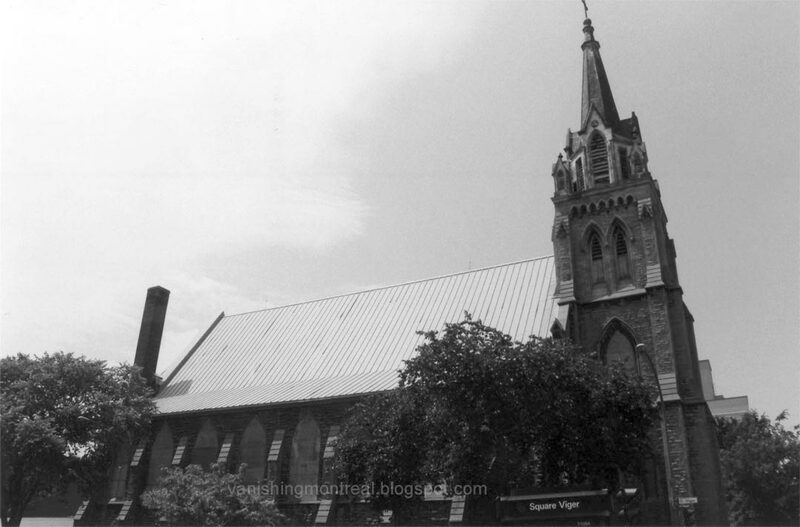 Click on the photos to see details. 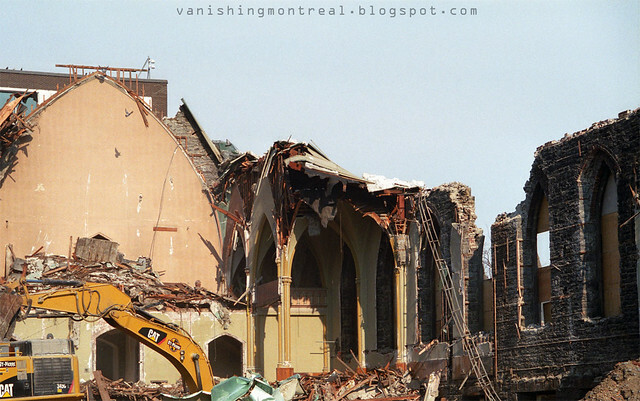 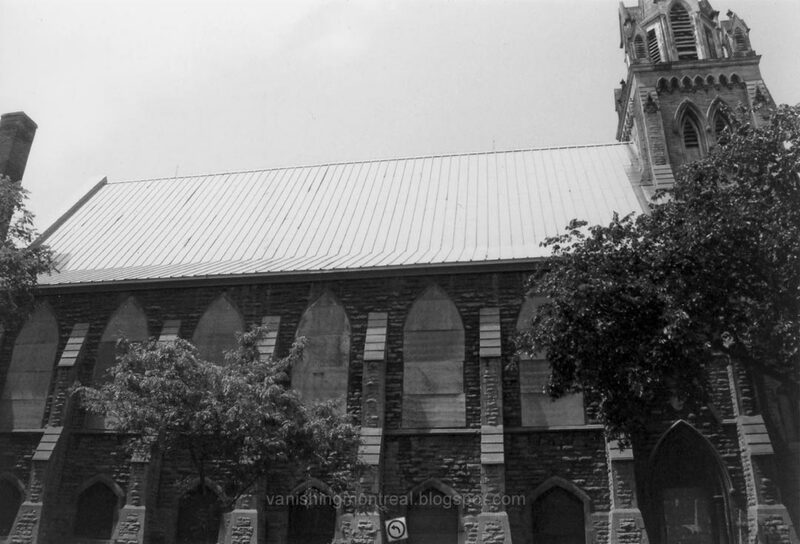 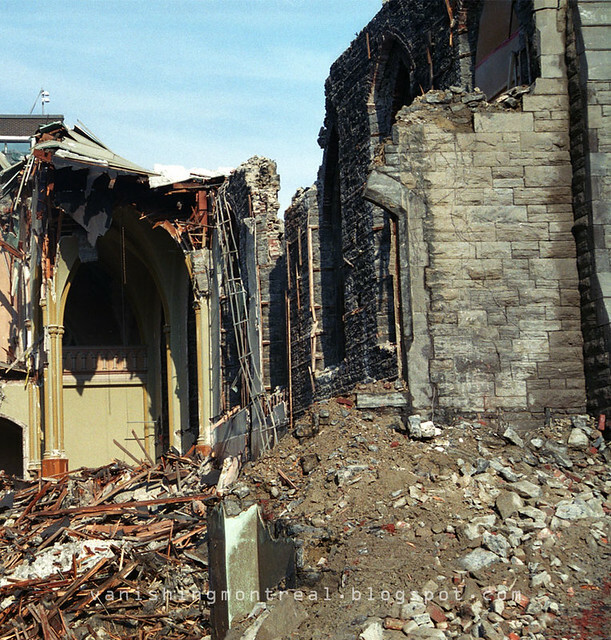 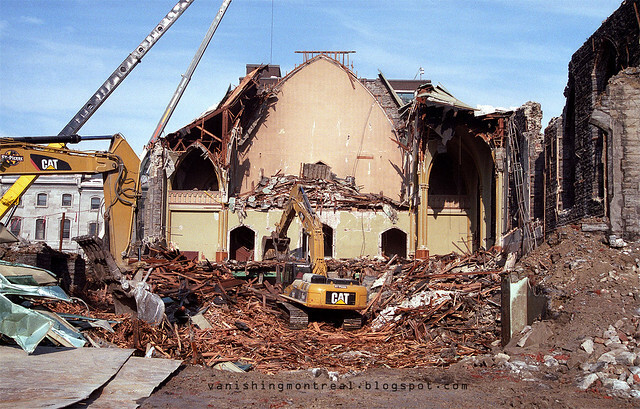 Here are some 35mm photos of the demolition of the Trinity Anglican church/ Eglise St-Sauveur. 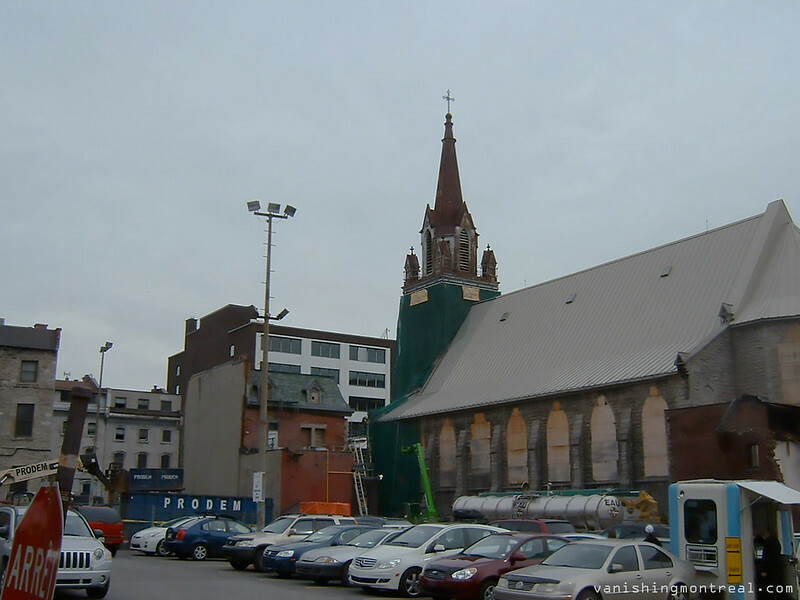 These photos were taken on February 17 at around 2:30pm.